On Thursday night Curt Felix, vice chair of the Wellfleet Comprehensive Wastewater Planning Committee spoke as part of the new England Aquarium lecture series. He discussed oyster restoration and the experience Wellfleet has had with their oyster propagation zone. (Note that Mass Oyster has supported this project financially and with recycled shell.) His fascinating discussion enthralled the 150 people assembled in the IMAX theatre for the event. The lecture featured some interesting video clips, photos of the restoration progress as well as lots of data. Below are some of the high points from his talk. Oyster habitat is a threatened environment with 85% of oyster habitat lost worldwide and 95% of Massachusetts' oyster reef is now gone. Interestingly in the early 1600 oysters were so abundant that they intimidated explorers. 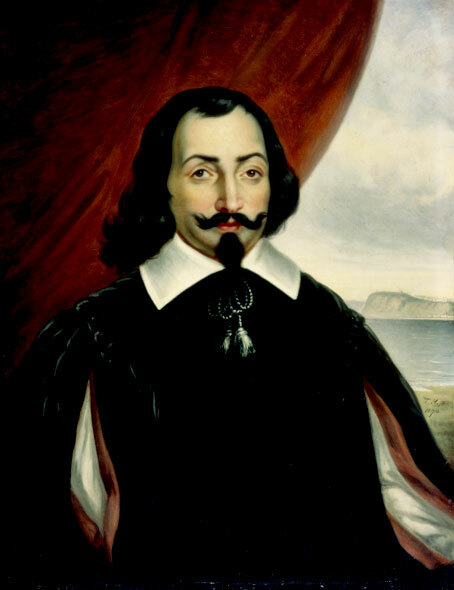 The famous French explorer Samuel de Champlain who founded Quebec traveled throughout New England and maritime Canada. According to his ship’s log he did not go into Wellfleet Harbor in the 1602 because he saw so much oyster reef sticking out of the water he felt is unsafe to proceed. Explorer Champlain stayed clear of the billions of oysters forming oyster reefs in Wellfleet harbor for the safety of his ship. An oyster filters 50 gallons of water per day. They are the water quality engineers of the estuarine ecosystem that have 3 different ways of removing nitrogen: 1) an oyster assimilates 0.375 grams per year into its meat and shell; 2) Oyster pseudofeces creates a bacterial process that eliminates 0.35 grams directly to the atmosphere; 3) another .75 grams is taken up by the 100’s of other creatures that are attracted to an oyster reef. In other areas around the country restoration efforts are getting some success. Maryland committed $8 million to oyster restoration in 2014 as part of an ongoing program.. Through this program oyster diseases have fallen to the lowest levels ever recorded. They also have had the highest spat survival rates since 1985 and increased the estuary’s biomass over 44%..
n the Wellfleet Study area they have counted in excess of 4 million oysters in 3 years and an estimated 40 million throughout the harbor. These oysters filter an estimated 30 billion gallons of water per day. In the study site they have documented a 70% reduction in Nitrogen. Samples are taken on the outgoing tide and the nitrogen levels now measure in the excellent range according to EPA standards. So the water flowing out of the study area is a positive influence on Wellfleet Harbor overall. With this the Ulva or sea lettuce has disappeared in the propagation zone. Ulva is a classic indicator of excess nitrogen. Chlorophyl levels have also dropped. This is good for eelgrass, which needs lots of light. Eelgrass is an important habitat for fish and scallops. With more nooks and crannies to hide in they have seen a steady increase in biodiversity. Some notable trends include the return of Menhaden or “pogeys.” In 2013 there were over 50 rare diamondback terrapins regularly feeding at the site. Looking at water quality on the Cape a number of town’s have challenges that in aggregate could require $4-6 billion to try to fix with conventional sewers. With town budgets already tapped heavily and the reasonable cost of restoring oysters, it is natural for the towns to be examining this option more closely. Felix emphasized that oysters would not be a quick fix and that it will take a sustained effort to build experience and significant oyster populations but that water quality could be improved within years rather than decades and reduce significantly, the overall cost of meeting estuary water quality requirements.